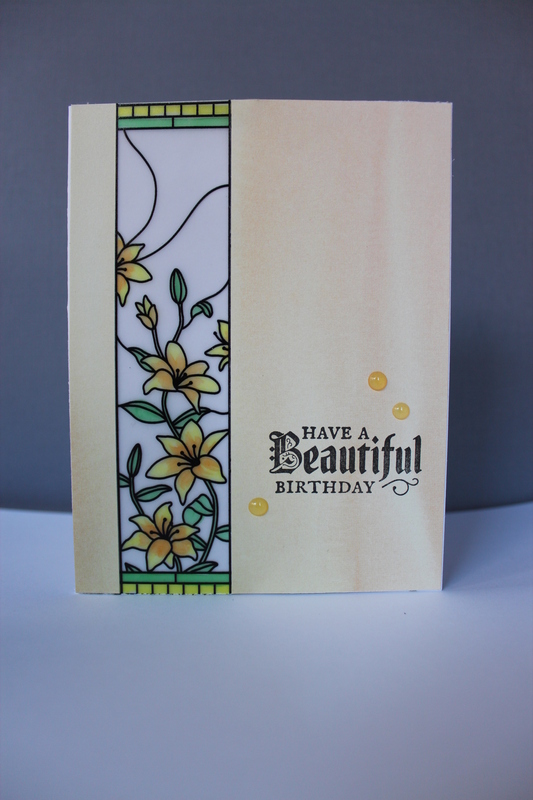 Today I wanted to use the Stained Glass paper and stamp set from Stampin Up. I did not actually notice this set on my first view through the catalogue. I think it was because the paper looked just black and off-white and the stamp set had smallish images with sentiments in an Old English font. On my second glance through the catalogue, I did notice the Old English font which I like. Looking at the set more closely, I realised that the paper was printed vellum with stained glass motifs. 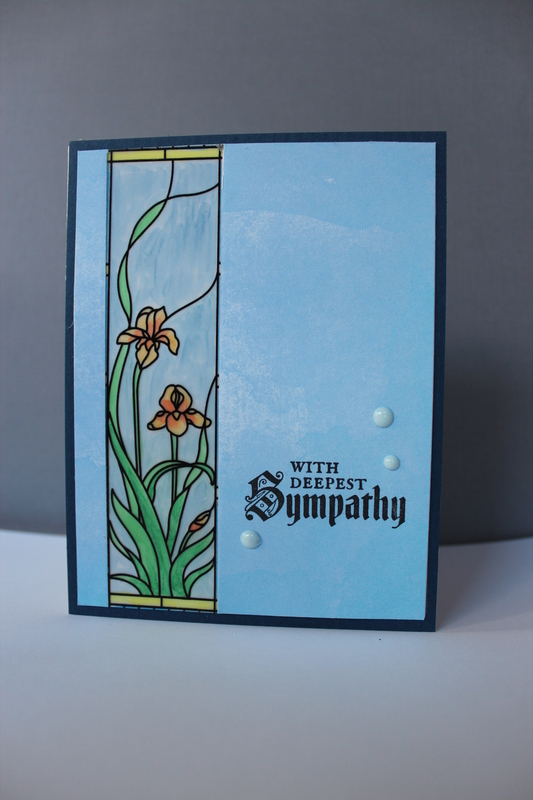 I began to think of the multiple uses of a set like this, from elegant birthday cards to respectful sympathy cards. I also realised that the smallish images in the stamp set enhance the stained glass scenes on the vellum, without overpowering them. I made three cards, that all turned out well. Posted on September 18, 2018, in Card Samples, Oscar's (Deb's) Card Samples and tagged Copics, Faux stained glass, Stampin Up, Vellum. Bookmark the permalink. 2 Comments. 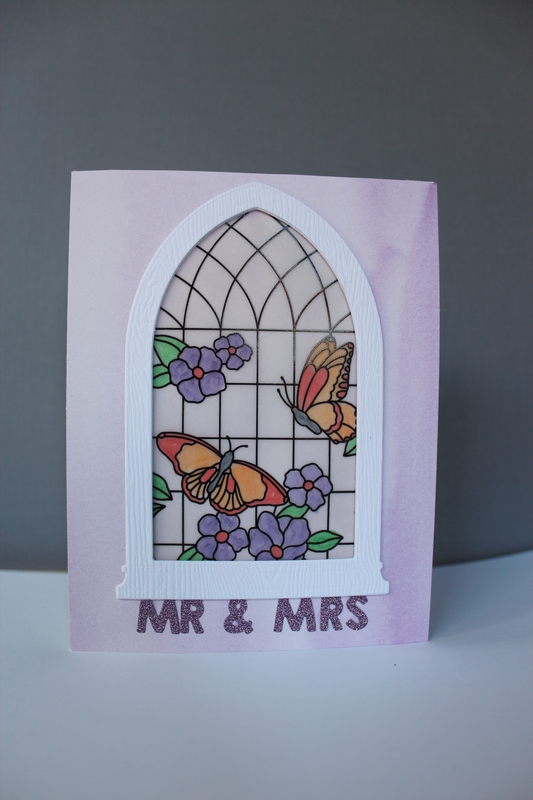 Love the stained glass window vellum- beautiful cards…. and the Old English font suits the cards perfectly..
Beautiful cards and your colouring skills are over the top!